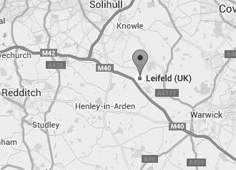 Leifeld UK has been in operation for over 35 years and the UK office provides on-the-spot, expert advice on metal spinning applications and the supply of metal forming machinery together with After-Sales Service, and Technical Support. Leifeld Metal Spinning GmbH is a world leader in metal spinning machinery and technology. Founded in 1891 in Ahlen, Germany, Leifeld began life fabricating agricultural containers and manufacturing tooling for the hollowware industry.